Your great ... grandmother was a hyperthermophilic bacteria living near a hot vent, and your great ... grandfather may have been an amino acid arriving on a meteor...These are just some of the interesting proposals that astronomer David Koerner and neurobiologist Simon LeVay, have collected here in this recent overview on the origins of life in our universe, and the liklyhood of other life existing outside our planet. I remember reading Isaac Azimov's ETI the search for Extra Terrestrial Intellience 30 years ago and many of the calculations he performed are updated here, current to the late nineties. 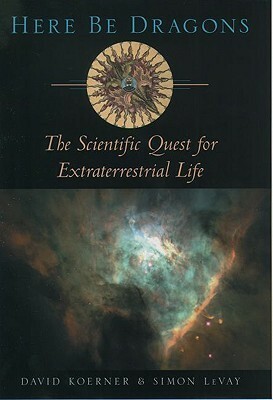 It explores the supernova ejected dusts of organic chemical precursers in the condensation clouds of starbirth, and how the acretion disc of solar systems seem to regularly form planets, and explores everything from primordial soup models of life beginnings, the RNA from clay hypothesis, possible autocatylitic genetic imitations, and extreme conditions where life may exist. They explore the whacky (UFO's) and the not so whacky (deep space chemistry). Altogether this is a fun and pacy read, for the scientifically literate, and the interested layperson. I would recommend. This book does a great job of showing how many different scientific pursuits can be tied into an interest in the question of life beyond Earth. The authors, David Koerner and Simon LeVay, explore the possibilities of both non-intelligent and intelligent life, and show how an interest in extraterrestrials can stimulate closer research and deeper understanding of the only "Life" (life system) we know of currently in the universe. The book provides good references for those interested in further reading on specific topics. Are we alone in the Universe? A discussion on the likelihood of life elsewhere and if we'll ever find it. By examining what we know about the universe and how life evolved here, the chances for either may be bleak, but that should not stop our curiosity. Recaps information with interviews, travelling to various parts of America relevant to ET life and includes many references to other works.